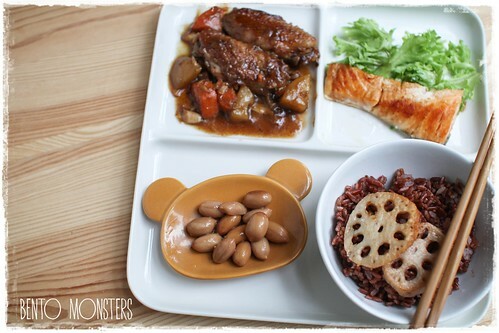 There's also strawberries and broccoli in the bentos. 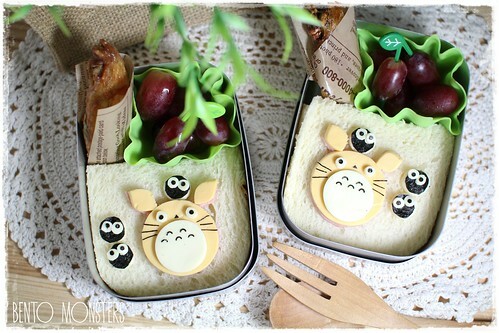 Totoro snack bentos for my boys. The sky was gray that day, too dark to get a decent shot under natural lighting, ended up taking these shots under indoor lighting. 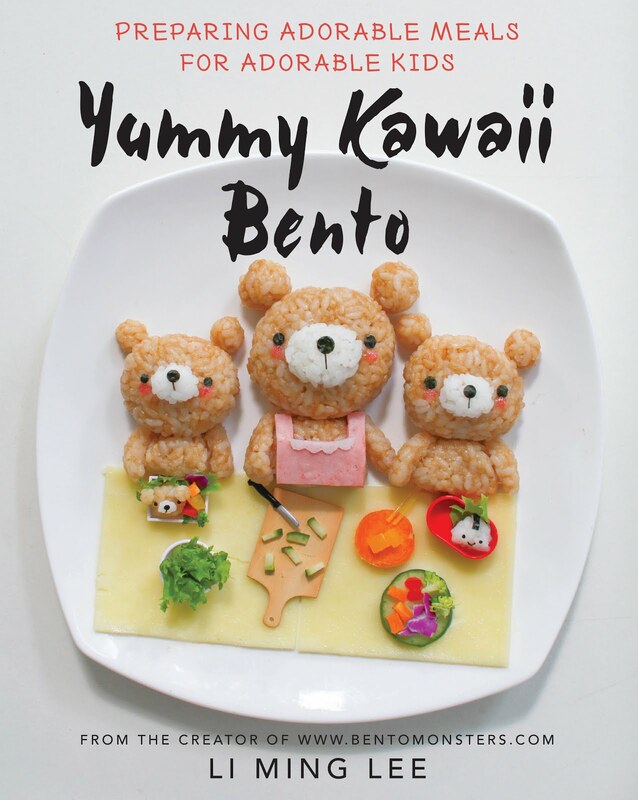 Totoro and Susuwatari are made from cheese and nori. 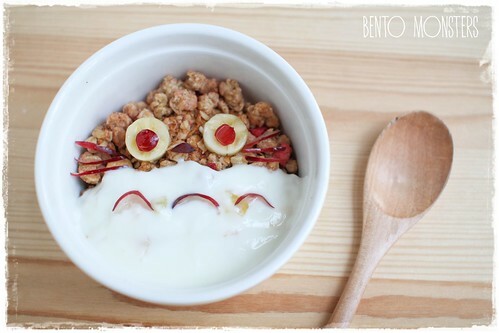 Your Totoro looks so cute! 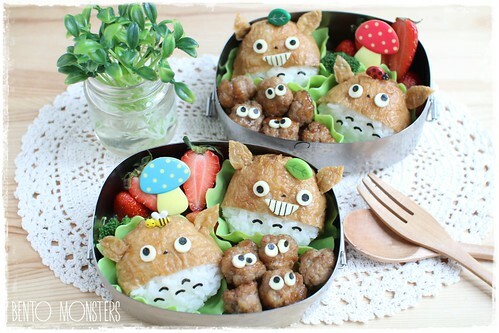 One of my previous Totoro bentos was also without whiskers and I only realized it when I wanted to post it a few days later ha ha. Lol, I think this is not the first time I forgot. Tks, Rina. 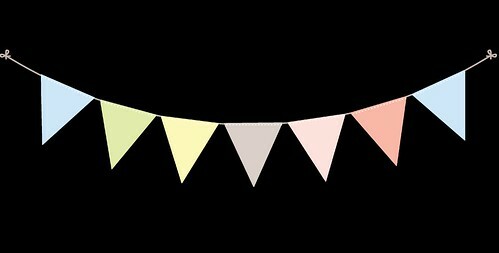 Same to u!! 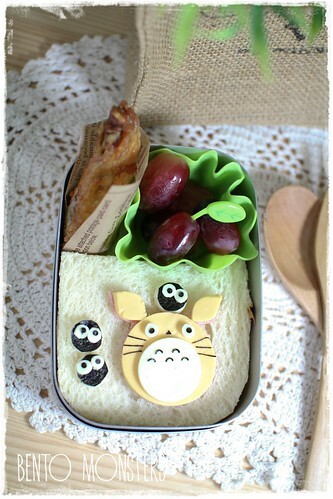 Your totoro are super cute!! 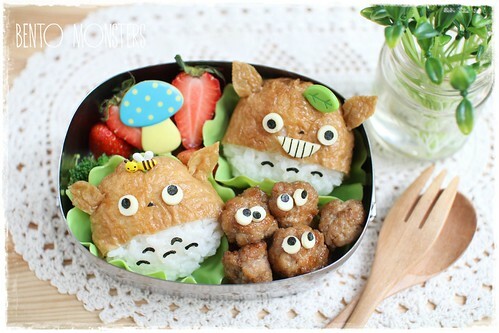 love this inari creation!